People always see me with kids in tow and they always tell me I’m going to miss this stage. I usually joke back that one (or more) are for rent if they want to relive the glory days of young children. And although I tease – I understand what they’re saying. Sure, I hope I never have to potty train again, but listening to these two play in the mornings is motherhood gold. 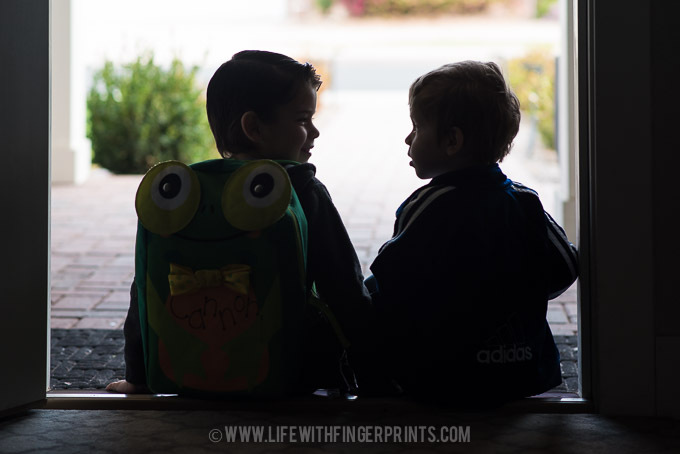 They’ve got a few more months before Cannon heads off to kindergarten and it makes me sad to think Briggs has no idea that his little playful world is going to be rocked. Puzzles. Trains. Dress up. Magformers. They do it all – they’re so good together.